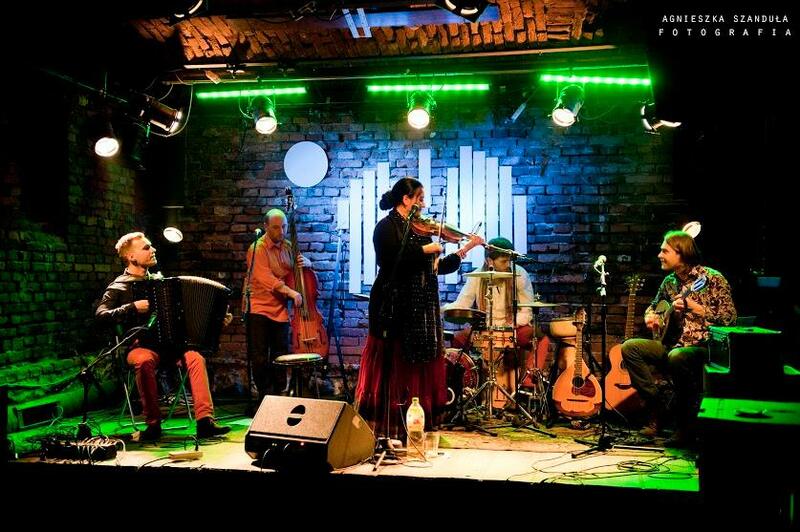 With more than 400 gigs in 20 countries, including „German Record Critics Award“ and Polish „Folk Fonogram of the Year“ the 12-years-existing Čači Vorba is considered one of most recognised folk bands from Poland, described by Simon Broughton as „Poland’s greatest non-Polish Gypsy group“ and „one of the most dynamic and accomplished folk groups from Eastern Europe“. The band, with its charismatic singer and a violin virtuoso Maria Natanson, a rare case of ‚gadji‘ (non-Gypsy) artist who sings own poetry written in Romani (Gypsy language), performs original blend of East European Gypsy and non-Gypsy traditional music in inventive, multi-genre arrangments. Band’s latest album „Šatrika“ (October 2015), developing band’s sound into a broad mixture ranging from ethnic music, Gypsy, Romanian, Balkan pop and Mediterranean timbre to jazz, psychedelia and own sneaking-out to any definition ideas, has gained a big international success, including selections by „Songlines“ and „fRoots“ as well as high scores in World Music Charts Europe and Transglobal World Music Charts.